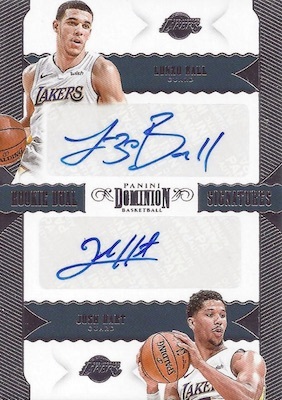 Yet another debut for NBA collectors, 2017-18 Panini Dominion Basketball provides even more cardboard for the strong '17-18 rookie class, as well as many past and present stars. Every hobby box contains three autographs, one relic and one metal rookie card. As some may remember, the premium brand actually got its start as a hockey release when Panini still held an NHL license. 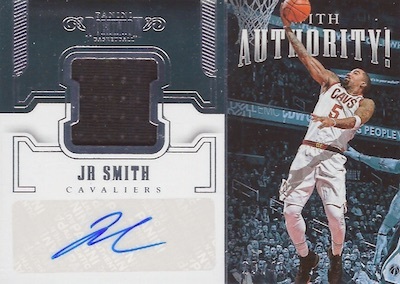 In each six-card box, 2017-18 Panini Dominion Basketball averages four hits, leaving two other cards. One of those non-hit cards should be a Metal Rookie card that averages one per box. 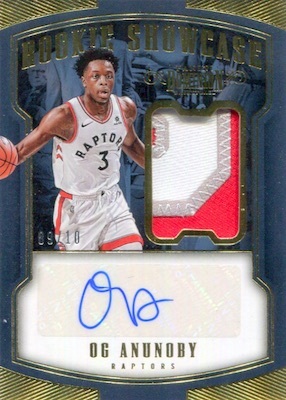 Hits fill out the rest of the 2017-18 Panini Dominion Basketball checklist. 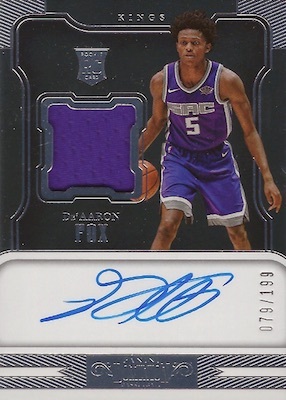 The on-card Rookie Jersey Autograph cards normally come one per box, with limited Gold and Platinum parallels, as well. Other hard-signed inserts include the shadowbox and acetate Main Exhibit Legends autographs, plus the Peerless auto relics. There are also dunk-themed With Authority! autographed relics. 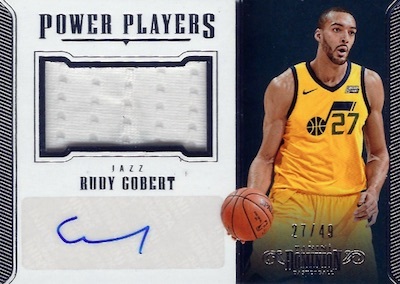 Featuring an autograph and memorabilia swatch, Power Players is reserved for the best frontcourt names of today and yesterday. 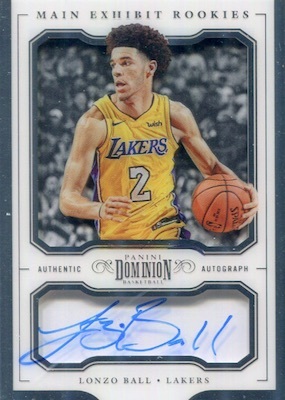 Among the multi-player autograph cards, collectors can find Franchise Favorite Dual Signatures, NBA Champions Dual Signatures, Rookie Dual Signatures, Triple Threat Trio Signatures, and Rookie Quad Signatures. 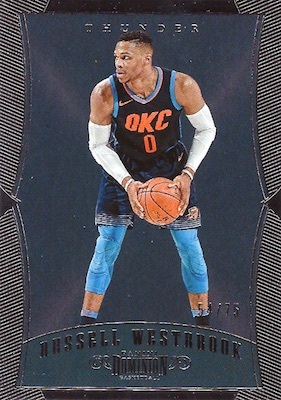 Finally, falling one per box, the memorabilia lineup for 2017-18 Panini Dominion Basketball includes Mammoth cards with jumbo material pieces. 2017-18 Panini Dominion AVERY BRADLEY GOLD MAIN EXHIBIT AUTO SP #9 10 DETROIT! 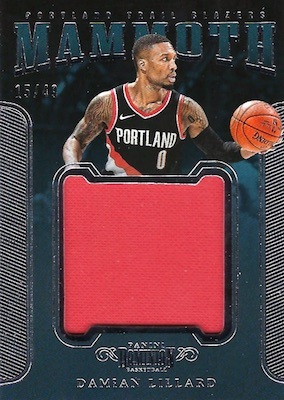 Shop 2017-18 Panini Dominion NBA cards on eBay. PARALLEL CARDS: Bronze #/49, Gold #/10, Platinum 1/1. 39 cards. Serial numbered #/199. 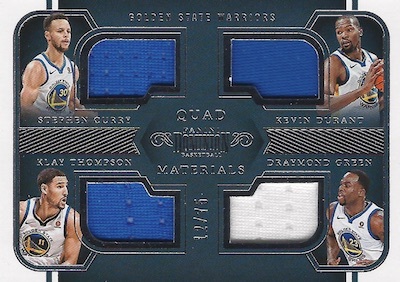 PARALLEL CARDS: Bronze #/49, Silver #/15, Gold #/10, Platinum 1/1 (No DJ Wilson*). PARALLEL CARDS: Bronze #/10, Gold #/5, Platinum 1/1. PARALLEL CARDS: Bronze #/25 or #/15, Gold #/10, Platinum 1/1. 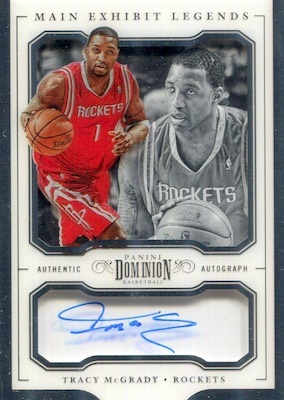 PARALLEL CARDS: Bronze #/25 or #/15, Gold #/10, Platinum 1/1 (No Schrempf*). 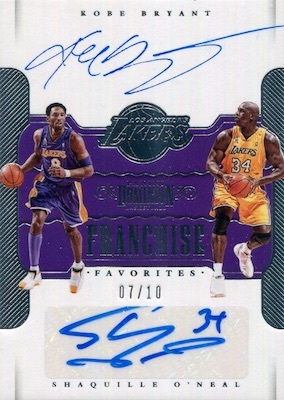 PARALLEL CARDS: Prime #/10, Tag 1/1. PARALLEL CARDS: Bronze #/10 (No card #9*), Gold #/5, Platinum 1/1. PARALLEL CARDS: Bronze #/25 (No card #33*), Gold #/10, Platinum 1/1. 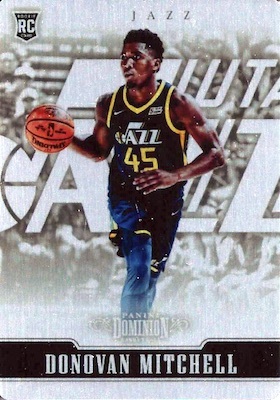 See the 2017-18 Panini Dominion Basketball checklist spreadsheet.